Why can’t I watch Al Jazeera? Is it too much to hope that one outcome of the convulsions currently gripping the Arab world will be that American cable television viewers can now get to watch Al Jazeera’s coverage of events in that crucial part of the world? Probably, but anticipating disappointment should never deter one from doing the right thing. What the Gulf War was to CNN, the people’s revolutions of the Middle East are to Al Jazeera English. But in the U.S., in a sad vestige of the era of Freedom Fries, hardly anyone can watch the channel on cable TV. Cable companies: Add Al Jazeera English NOW! It is downright un-American to still refuse to carry it. Vital, world-changing news is occurring in the Middle East and no one–not the xenophobic or celebrity-obsessed or cut-to-the-bone American media–can bring the perspective, insight, and on-the-scene reporting Al Jazeera English can. The recent momentous events in the region, first in Tunisia and now in Egypt, have served to highlight just how woefully out-of-touch, uninformed and, in too many cases, inherently biased the major US news channels are, stuck in a Bush-era time warp and terrified of airing any image of the Arab world that deviates too far from the jihadist stereotype. 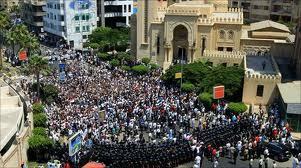 I’d thought this is what (Obama) wanted for the Arab world: democracy! But the market dropped, and the cable shows teem with mistrust of the Arab street. The talking heads can’t stop going about the Islamists. Chris Matthews cried out against the Muslim Brotherhood and shouted, Who is our guy here?– as if the U.S. has a role to play on the streets. While his guest Marc Ginsberg, a former ambassador to Morocco whose work seems to be dedicated to finding the few good Arabs out there, said that forces outside Egypt are funding the revolt– an insulting statement, given the homegrown flavor of everything we’ve seen; and when Matthews pressed him, Ginsberg said, Hamas… Iran. Matthews’s other interpreter was Howard Fineman. Why aren’t there more Arab-Americans on US television? I suspect Phillip knows the answer only too well, that the reason there aren’t more Arab-Americans on US television is the same reason none of the cable companies will touch Al Jazeera. Partly it’s to do with the pro-Israel bias of the American media but it is also because by this point the American television-viewing public has a facile notion about the Middle East fixed immovably in its collective mind; Arab equals terrorist. The media is in large measure responsible for that simplistic thought and having helped to create it, is now imprisoned by it. To challenge the idea by interviewing Arab pundits and treating them as normal, intelligent and even insightful human beings risks the accusation of harboring secret sympathy for terrorism – such journalists in Ireland were called ‘sneaking regarders’ – or at the very least of being soft on it and that prospect is enough to terrify most in the media into acquiescence. That’s how self-censorship works, as I know only too well from my years in Belfast. The media got their cue from America’s political establishment. The network was labelled an Al Qaeda front by the Bush White House – Defence Secretary Donald Rumsfeld set the tone by calling it “vicious, inaccurate and inexcusable” after it aired Osama Bin Laden videos – while right-wing commentators have assailed it as ‘Terror TV’ and campaigned to keep it off the cable networks. America’s political and military leaderships have also given violent, bloody form to their hatred of the station. In November 2001, just after the American invasion of Afghanistan, a US missile strike destroyed Al Jazeera’s Kabul office. Eighteen months or so later, Al Jazeera reporter Tareq Ayyoub was killed by an American missile as he reported from the rooftop of the station’s office even though, as a protective measure, the network had, as it had done with its Kabul office, provided the State Department with its co-ordinates some time before. In November 2005 the Daily Mirror in Britain reported that George Bush and Tony Blair had discussed bombing Al Jazeera’s headquarters in Doha, Qatar the year before during a major offensive by US Marines on the Iraqi city of Fallujah. The paper said it had a leaked memo from 10 Downing Street laying out the discussion but the account was denied by the White House. The story got little play in the US media. Comcast, Charter, Time Warner, Dish Network and DirecTV (were offered the network but) all passed. None would say why, but it is not hard to imagine that the same fear that keeps Arab-Americans off the major networks was and still is at work in the minds of the cable companies. 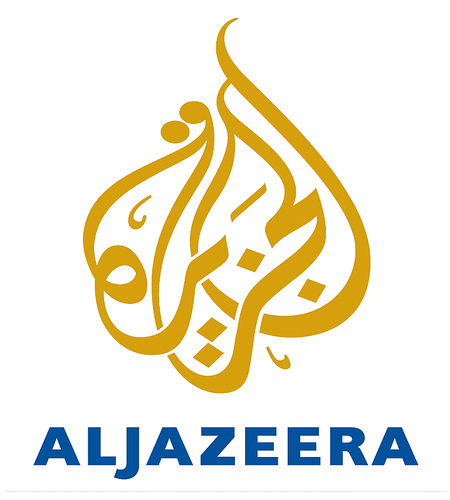 Right now, the only way to get Al Jazeera, aside from YouTube videos, is to log on to their English language live stream on the internet but when a big story is happening, as in the past few days or so, and demand is high the service can be very hard to get. Which is a great pity because the US networks are making a pretty poor fist of explaining what has been happening in Egypt. As Phillip Weiss noted, they keep tripping up over their preconceptions and prejudices about the Arab world. One recurrent theme, and not just on Fox News, has been that a) the Muslim Brotherhood could well seize power if Mubarak falls, (b) the Muslim Brotherhood are Eqypt’s Al Qaeda and therefore (c) what is happening in Egypt might well be a very bad thing. All of a sudden, middle-aged American men in suits who couldn’t find their way, unaided, from Cairo’s Ramses Station down Talaat Harb to Midan Tahrir, are posing as experts, appearing on U.S. television to insinuate that the Muslim Brotherhood is violent and extremist. Fortunately, the Brothers have an English-language website. Scroll down it to the lower left and you will see the feature: “MB vs. Qaeda.” This segment is one more sign of the organization’s decades-long commitment to nonviolence, even though over the years the Mubarak regime has arrested and tortured thousands of its members. In a statement the Muslim Brotherhood vehemently opposed both the attack and threat calling on all Muslims to unite and protect the holy places of all the monotheistic religions, stressing it was a religious duty. It emphasized that Islam was a religion which promoted only peace and tolerance. The MB described the attack as criminal and heinous. Hardly the words of jihadist terrorists or sentiments of which Osama bin Laden would approve yet this crucial part of the story, that the Egyptian Muslim Brotherhood is actually quite a moderate force within its spectrum, has flown right over the heads of the major networks, albeit with one or two notable exceptions like PBS’ NewsHour. There is an irony in all of this and it is that Al Jazeera’s name for radical, anti-western coverage has been inflated beyond reason. The network is really the Middle East’s version of something that lies between the BBC and CNN – many of whose veteran reporters and producers not coincidentally provide a large slice of its staff – and can be every bit as mainstream, tedious and boring. In this regard it is salutary to recall that in its early, pre-9/11 days, Al Jazeera was often accused of being the voice of America in the Arab world. But it happens to do a very good job of reporting the story in its part of the world, a far better one than the US networks. That’s why we should be allowed to watch it. This entry was posted in Al Jazeera, Al Qaeda, Blair, Bush, Cable TV, Censorship, Egypt, Muslim Brotherhood, Obama, US media. Bookmark the permalink. In Ireland it is easy to receive Al Jazeera on a free-to-air satellite – an increasing number of left-wing activists regularly tune in because it is a news channel with high standards. Deputy Broughan is a member of a self-styled left-wing party planning, after the February 25 general election on the horizon, to enter a coalition government with the extremely right-wing Fine Gael outfit. Like many others, Deputy Broughan would be much better informed about political issues if he watched Al Jazeera – you never know, he might see how strange the idea of a left wingers entering a coalition with the right looks to people outside the Emerald Isle! I presume you can still tune into the station via the internet in the USA – maybe if more Americans do that, the Washington based régimew will imitate the Chinese Government and looked at cutting off that option as well? If you’re up to the challenge, you can receive AJE, as well as several other channels, including RT and PressTV, on FTA with a 30 inch dish in most of the U.S., from the satellite at 97 degrees west longitude. The equipment will run roughly $200-300. There’s no hacking or subscription fees. Here’s something I saw on AlJazeera English: “…the fact is, AlQaeda is a sick child of a sick reality. And we keep always running away to theology, to try to bury our heads and not to see reality. So it’s not in Islam that we’re going to find the problem.